I didn't know it at the time, but this is the kind of literature that appeals most to me: literature crafted around a novel conceit, crafted with such unique care that its conceit is only detectable on repeated scrutiny...and crafted with such skill and creativity to merit that repeated scrutiny. 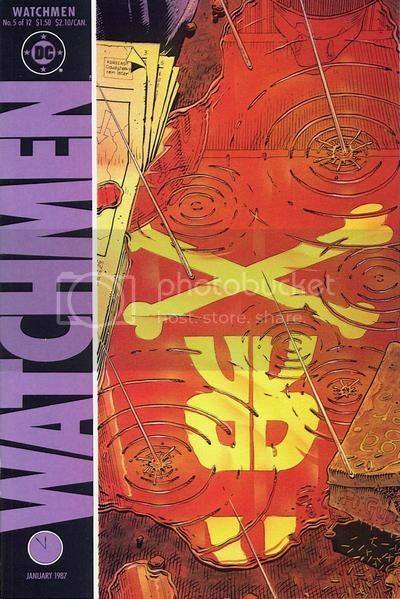 I love pretty much all of Watchmen, but this one, "Fearful Symmetry", is genuinely awe-inspiring. The panels are arranged symmetrically throughout the issue, there are mirror motifs, the flashing lights from the Rum Runner bar introducing an on-off rhythm, just too much craft on display to tick it all off. And oh, the writing: the villain Moloch turns out to be one of the most pathetically sympathetic characters in the entire story, Rorshach's attempted escape from being set up for an arrest packs more thrills and excitement than almost any overly-bombastic action scene I've ever found in comics. The artwork was really erratic for a long time after Gulacy left, and it wasn't until Mike Zeck came on board that the artwork started to be a match for Moench's writing again in quality, especially once Gene Day took over as regular inker (and later on as artist). As for Gene Day, the first artist to blow me away with page design, obviously I would go on to discover Steranko, Kirby, and much later JH Williams III. He was a massive loss to us. It was terrible that he died so young. I can't remember where I read them now - maybe the MoKF letters page? - but I think there were some pretty moving comments shortly after his death from both Doug Moench and Archie Goodwin. It was nice to learn that he was not only respected for his abilities as an artist but well-liked by his peers for his attitude towards work and just his general personality. You could see that they felt his passing as a personal as well as a professional loss. BTW, you should keep looking for those Gulacy issues you're missing. There aren't all that many of them in total, and shouldn't be too expensive. "Tomorrow You Live, Tonight I Die"
I couldn't swear to it, but this might well have been the first issue of Captain America I ever bought, though I knew the character from the "Marvel Super-Heroes" cartoons from a couple of years earlier. (It also marked my introduction to Hydra, I'm almost positive.) At the very least, I know very well that I never owned Steranko's first issue, #110, till I bought it & his other two, & a few others from the general period, via eBay circa 2000. 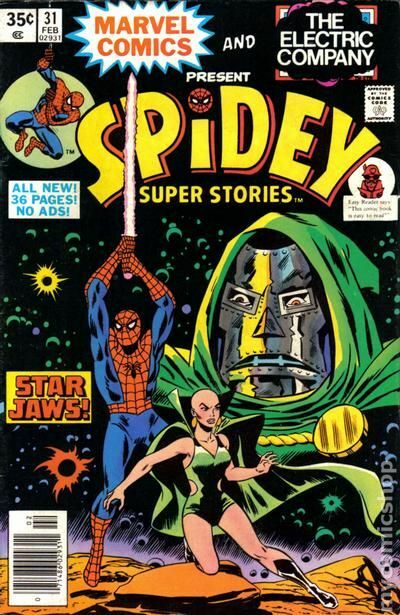 At any rate, this marked my introduction, as far as I know, to a truly cinematic approach to the comics pages ... not, of course, that I would've been able to tell you that at the tender age of 9. Still, though, many -- probably most -- of the pages & panels from this issue burned themselves into my brain the second I encountered them. Some 46 years later, they're still there. I used to post about the merits of Gene Day often over at the old place. A terrific penciller, inker, storyteller and designer. He was a genius and should be considered one of the all-time greats. On my list! A good choice! 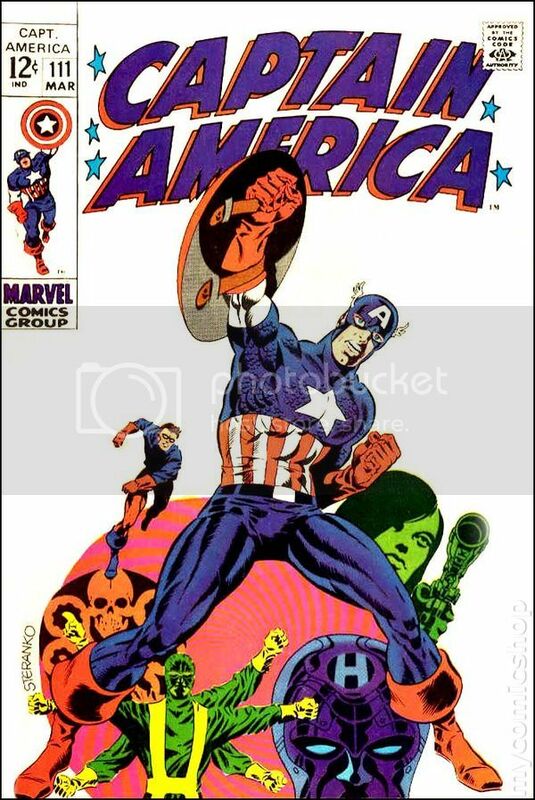 Yeah, Steranko Cap coulda easily made my list, too. Spiffing good choice there danny-boy. Just wanted to point out that Stan Lee scripted Cap #111, though it was almost certainly Steranko's plot. I summon the teensy-weensy correction! Wondered about that ... was sprinting through #s 2-11 too fast to double-check my sources. This is probably the first Imaginary story I ever read but I read it in the 100 Page reprint. Nice pick. I couldn't believe that the entire story fit in that one book. On the third day of Christmas, my collection gave to me... 3 of Logan's claws! This is a recent keeper for me. My brother got it for me for my birthday this year and it means a lot to me because it is the first time anyone has given me a comic on my birthday. Plus, it is a key issue that I really enjoy and, having since collected the remaining issues, I can honestly say it is up there in terms of my Frank Miller works (behind his DD stuff, which is fantastic and trumps all in my books....yes even Dark Knight).